Note: File Data tải về chuyển vào thư mục /Android/obb/com.efun.cl.se. Tales of Erin is original Japanese orthodox story-focused mobile RPG of action, drama, tactics and fantasy, set in a cold war between God and the human world. With a plethora of high quality content – from intense 3D Divinity animations to stunning anime-styled cut scenes as well as superb music and voice acting, players are able to summon over 80 heroes, master the arcane power of Divinity and alter the fate of the world. Experience the next evolution of mobile graphics, battles, and storytelling! Fight battles customized for touch screens and on-the-go play with awe-inspiring HD graphics. ULTIMATE SKILLS! AWE-INSPIRING 3D ANIMATIONS! Tales of Erin features an original Divinity battle system, which will change your gaming experience. Aisha, the guardian of Erin, will transform, fall with stunning 3D animations and assist players in fighting as Zealous Blade (Fighter), Green Creator (Healer), Runed Lance (Controller) and Luminous Nightingale (Slayer). 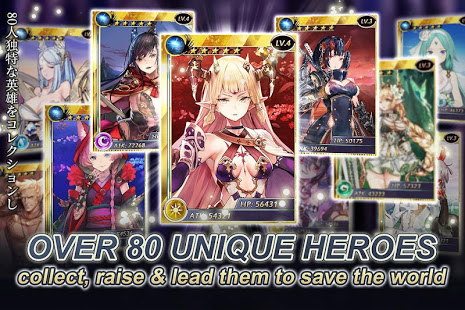 Summon 5 types of legendary heroes: Dark, wind, light, fire and water, apply the order of type restriction and release matching skills in perfect timing to defeat powerful enemies and bosses. You'll need to think hard about the advantages and disadvantages of each Hero's skills and weapon. Lead your army with easy touch-and-drag controls. 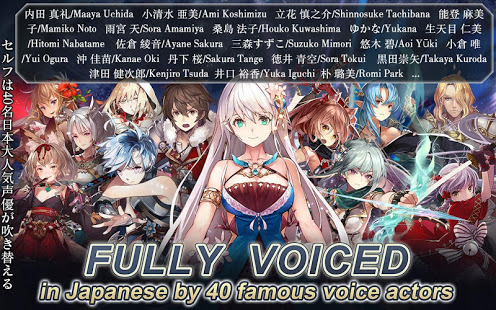 Unlock exciting story stages performed by well-known Japanese voice actors! Be transported to the world of Erin by gorgeous 3D animation and awesome music! Clear event story stages and you'll earn Orbs, which are used for summoning Heroes. Summon characters by famous illustrator from across the Erin world. Each of heroes has their own background story and unique skills. Develop your Heroes' skills and weapons, and take them to new heights. 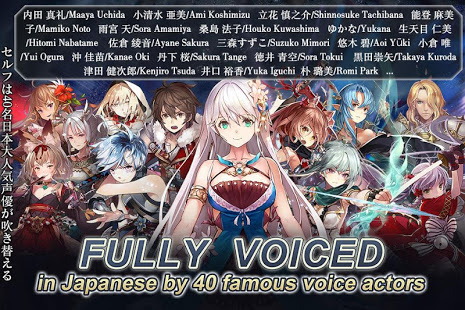 Enjoy the magnificent performance brought by A-list Japanese voice actors such as Uchida Maaya, Koshimizu Ami, Tachibana Shinnosuke and Noto Mamiko! Cultivate your heroes by leveling up their skills and enhancing their weapons to strengthen their performance in battle! There are many ways to strengthen your allies: leveling, skills, weapons and more. Take your characters to greater and greater heights as you battle for victory. 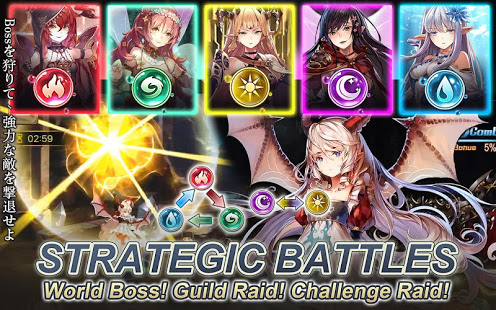 Enjoy real-time multiplayer battles with your friends and guildmates! Join forces and defeat powerful bosses!